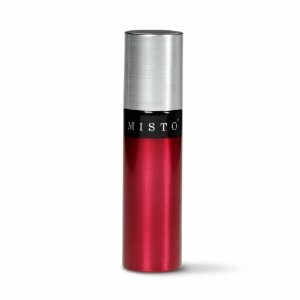 This weekend's giveaway is for a MISTO Oil Sprayer. If you've never used one, you NEED one. You fill it with your own oil of choice (healthy ones- right? ), pump it up to aerate it, then spray it. It helps you to limit the amount of oil that you use without having to invest in those aerosol versions. If you already own one, you NEED one in this fabulous tomato color to fill with another tasty oil, right? To enter this giveaway, head to my FACEBOOK page. Find the post for the giveaway, like the post, share the post, and comment on the post. Winner will be chosen at random on Sunday. What if you're not on facebook? I certainly do need one! Sorry Leah! This time it's just a Facebook giveaway. Stay tuned in a couple of weeks for another giveaway on the blog. Thanks!